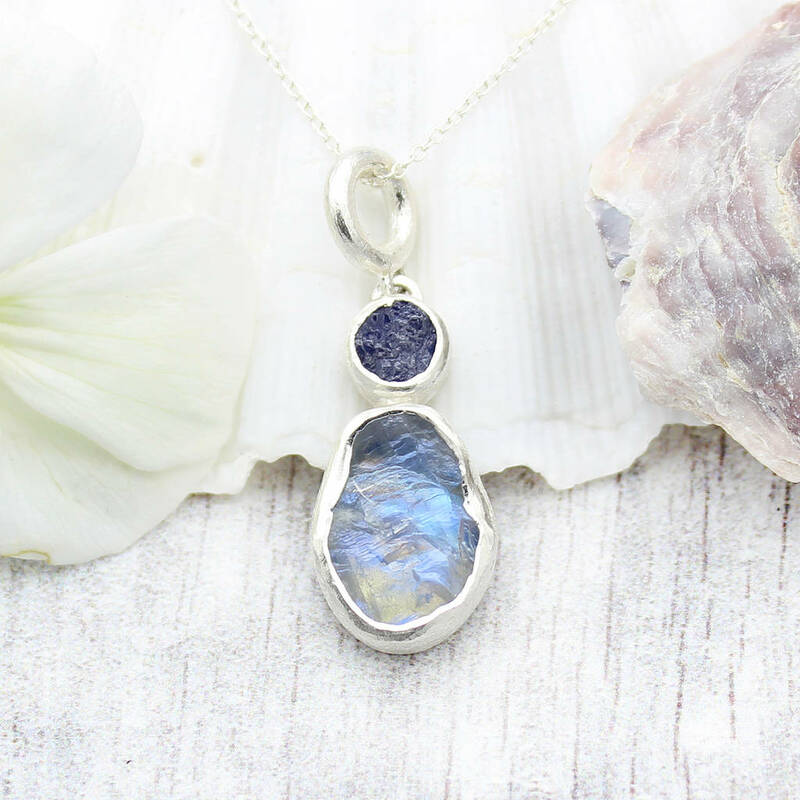 This beautiful handmade pendant is set with natural rough cut Rainbow Moonstone And Tanzanite gemstones set in a brushed sterling silver setting. 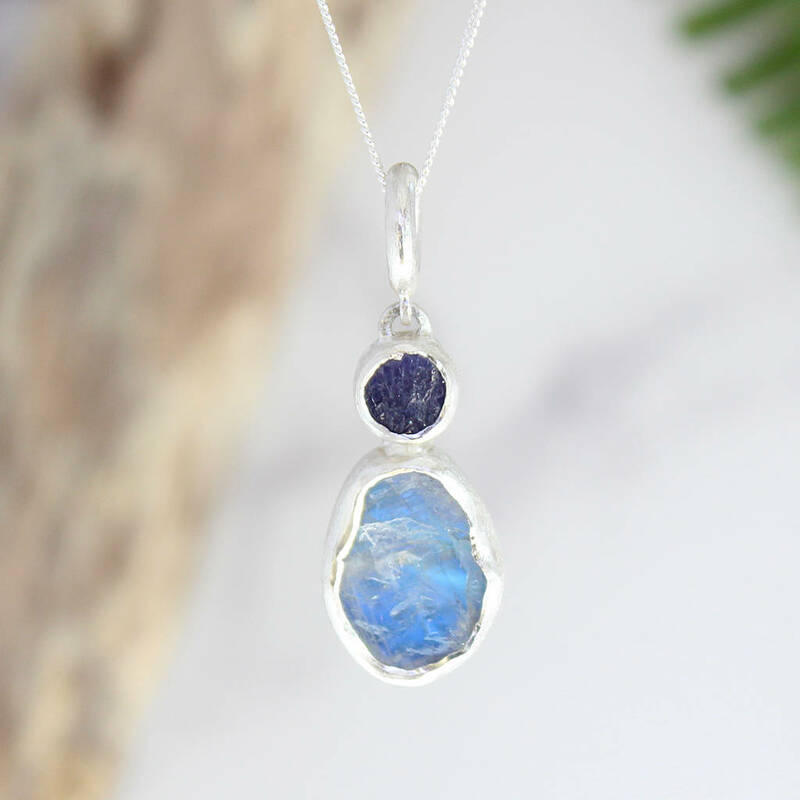 Our Rainbow Moonstone And Tanzanite rough gemstone pendants are truly unique - due to the natural gemstones used each pendant will vary slightly in shape, size and shade but this ensures you will receive a beautiful and unique pendant. Would make a wonderful Birthday, Christmas, Wedding, Thank you or Mother's Day gift or equally as a special gift to yourself. 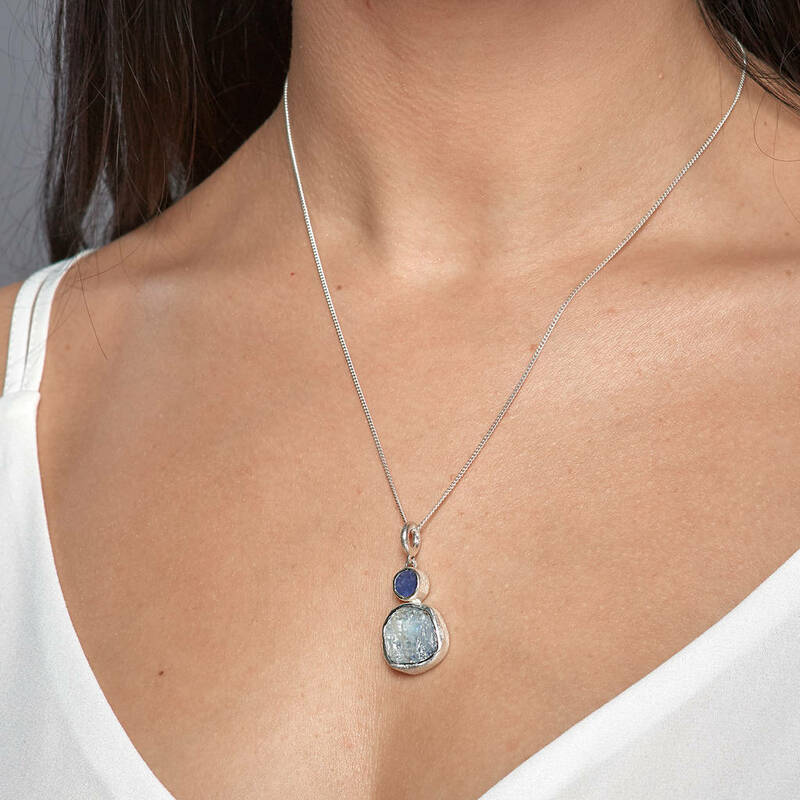 This pendant is handmade, our natural rough semi precious gemstones are hand selected for quality and colour ensuring every piece of jewellery is unique. Sterling silver 46cm chain included. Please note our images are not to scale, please check the dimensions below for the size of this product. 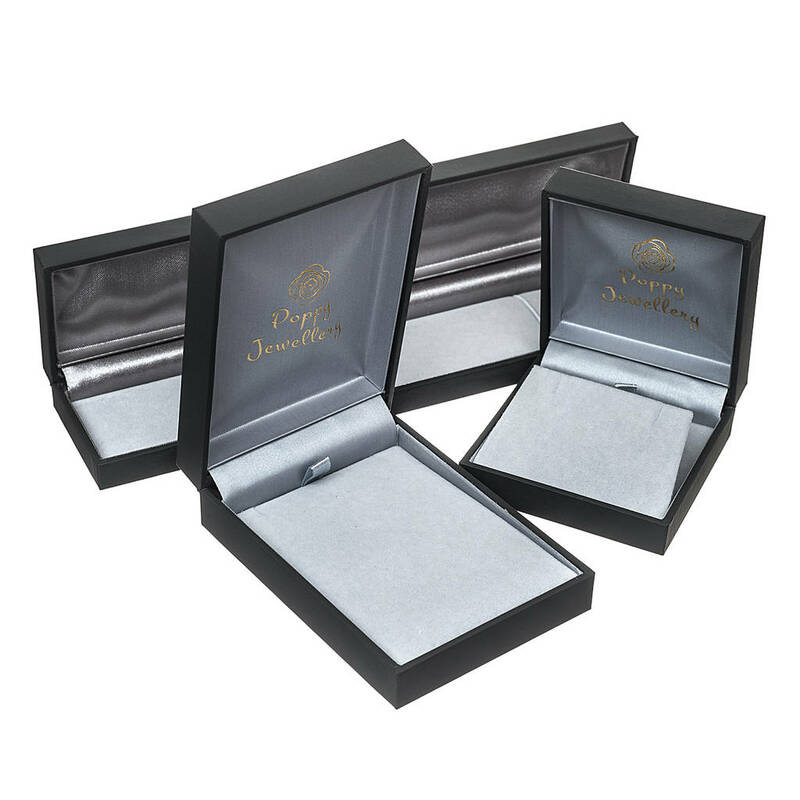 All our jewellery is carefully hand wrapped and provided in a smart glossy black and white branded box. Available in 2 sizes small and medium. As with all silver gemstone jewellery, avoid all chemicals and cleaning products. Due to the use of natural gemstones each pendant will vary slightly in stone size, colour shade and shape and chain length is 46cm. This product is dispatched to you by Poppy Jewellery.